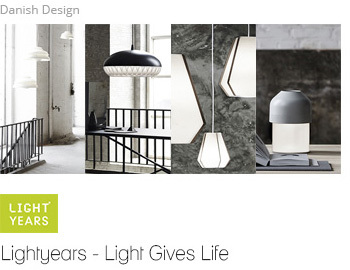 Lightyears is a company that challenges the ways of thinking about, developing and perceiving light. For us, innovation is not just a cliché but a mantra that characterizes our entire organisation. Our determination and ability to bring the best ideas to life stem from our goal of expanding the perception of functional and aesthetic lighting. We work single-mindedly to develop lamps that set new standards in design and quality. This is why we have set our standards high, and collaborate with some of the most accomplished and visionary architects and designers. Each lamp is conceived and created from scratch, the product of close co-operation with the designer.